Event in the context of the exhibition Voices Outside the Echo Chamber, curated by Katayoun Arian. A dialogue with Angela Anderson, one of the artists in the exhibition, on dealing with and rethinking representations related to the subject of migration. This evening furthermore includes an introduction by the curator Katayoun Arian on her curatorial decisions for this exhibition. This event aims to reflect on the confrontation and violence of forging an aesthetic language from subjects such as refugees, migration and displacement, inviting the audience to discuss both the potential of art to question, complicate and re-imagine discourse, as well as to re-perform the violence of modern thought. The event ties in together issues of representation and discursive frameworks of the human rights discourse to sustain in legal way the persecution, detention and deportation of migrant people. We will screen “The Sea Between You and Me” (2016) by Angela Anderson, along with additional footage and images from Angela Anderson’s ongoing projects. September 7, 2015. The white marble statue of the Aeolian poet Sappho gazes over the port of Mytilene, lyre in hand. Usually alone, today she is surrounded by people – walking, standing, sitting, lying down. They use her warm stone to dry their clothes and escape the sun in her shadow. They are some of the 25,000 individuals who have made the perilous journey over the sea from Turkey in the past week alone. 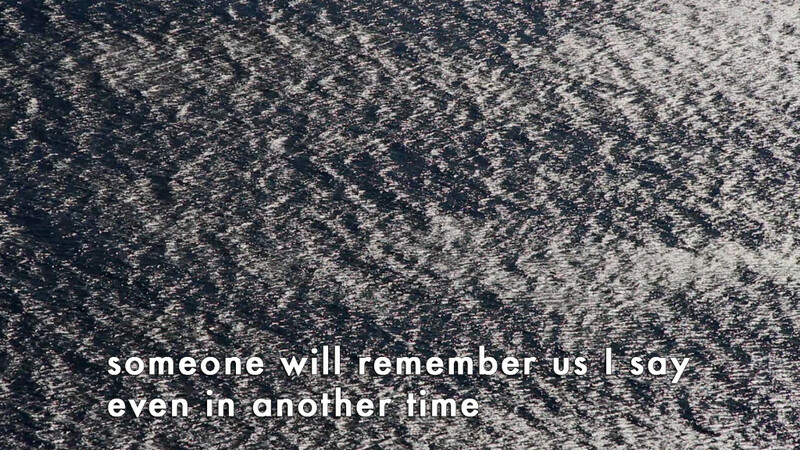 The Sea between You and Me interrogates how geographic imaginaries are formed, transformed, and transmutated at the intersection of medial and historical processes through the psychic function of language. In a refusal to simply ignore or repress the affective power and historical significance of the word “Lesbos”, this work challenges the viewer to consider the metaphoric and karmic nature of the fact that this island – already an escape route for Greek refugees from Asia Minor in 1922 – has yet again become a refuge for over 550,000 people fleeing war and violence since the beginning of 2015. 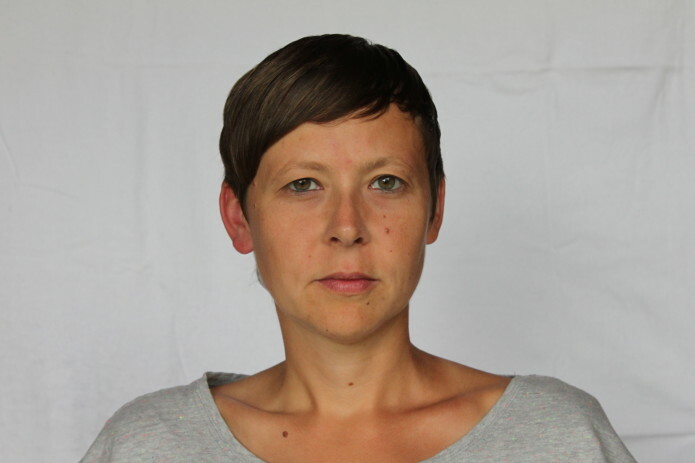 Angela Anderson is an artist and filmmaker working on research-based projects at the intersection of the fields of ecology, economics, migration, media and feminist & queer theory. Since 2013 she has been working together with artist Angela Melitopoulos and anti-mining activists in Northeastern Greece, producing two films and a radio project in the context of the struggle against the construction of the Skouries open pit gold mine. She is the exhibition designer for Forum Expanded at the Berlin International Film Festival and has a great interest in the potential of audio-visual media to open up new lines of flight.